Give the People What They Want: 5 Great Content Marketing Tips for Your Business - Powered by technology, our unique program uses software and algorithms to conduct a custom online competitive edge! 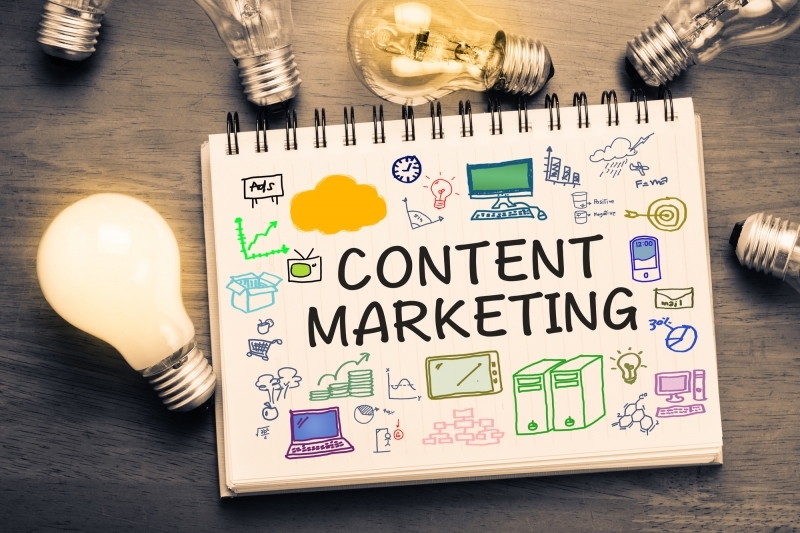 Did you know that content marketing is one of the best ways to build relationships with your potential customers? Moreover, even though it is one of the most fruitful ways to help drive conversions, it remains one of the most cost-effective. Content in almost all forms can help drive traffic to your website. It will also create more leads and more conversions by helping you establish your authority and brand. However, that doesn't mean that you can put anything on your site or social media platforms and reap the sweet results. In order to see how content marketing and social media marketing can grow your business, you must have a strategy. Read on to learn how you can develop the best strategy for your company with these key content marketing tips. The term "content marketing" typically refers to any online posts that your business engages in. This can range from original, crafted blog posts, to retweets and shares. So, it can be beneficial to have a well-rounded approach to your content curation. Here are five ways to implement this into your ongoing marketing strategies. Social media is an important part of any marketing strategy. In 2018, nearly 68% of North Americans use Facebook and that number is only growing. This number actually grows in size and in the variety of platforms with age and other demographic factors. This means that to capture a younger target market, social media is essential. You can use social media to your benefit by sharing blog posts on them, as well as posting articles about your niche and industry. Moreover, Facebook content in the form of pictures and videos can also help build trust with potential clients. All and all, the more you post, the more opportunity you have to rank highly and Google. This, in turn, means that you will receive more traffic from those interested in your product. So, try to keep the posts as regular and consistent as possible, as this can also give you a better chance of answering more questions for users. Again, it's no longer an option to put mediocre content out there and expect people to read it. People have high expectations in terms of getting their queries answered in Google. And Google is getting smarter at weeding out content that doesn't fit the bill. Therefore, try to answer questions are thorough as possible and put yourself in your ideal client's shoes. If you struggle to create topics for your content, try to focus on more independent bloggers rather than corporations. These typically fill in gaps that exist in the higher authority pages. Content curation tools allow you to post regularly and eases the struggles of producing great content. There's a wide range of options for content curation, from software that allows you to automatically set up posts to qualified experts that will help with your strategy. The final tip to take with you and implement into your strategy is to try to answer complex questions that your potential clients have. There should be pages dedicated on your site to answer these important questions users have. You should then use a variety of tools to convert them into customers. These content marketing tips will help you begin to refine your content strategy to streamline the entire process. It's important to have a comprehensive and well-versed process to implement content on and off your website. The number one goal should be to produce high-quality content that answers your potential client's questions. Now that you have a basic understanding of optimized content for your business, check out how you can use targeted outreach to make sure you're reaching your market.